Inaccessibility issues related to offline Outlook Data Files is a major concern for organizations working in the Exchange environment. Though there are some Microsoft recommended ways to deal with some of these issues, many issues can be solved only through OST to PST conversion. Tools like Kernel for OST to PST performs such a conversion in an error-free way without damaging the integrity of the mailbox data. This tool has helped many enterprises to fix issues related to OST files. 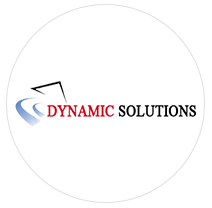 Dynamic Solutions is a well-known IT services provider having many reputed clients. The company has to deliver many time-bound projects on a regular basis. They use Exchange/Outlook email system to collaborate and communicate effectively to finish their projects on time. However, their email communication began to suffer as they started getting frequent error messages in Outlook. Later, they faced an Exchange Server crash too. As they didn’t have backups to restore the essential mailbox data, they used Kernel for OST to PST to restore their Exchange mailboxes. Read more.. Dynamic Solutions is happy with the features and the performance of Kernel for OST to PST. Lakeland College is a publically-funded post-secondary college in Alberta, Canada. Being an educational institution, they regularly send and receive emails between various departments, faculty, and students. They use Exchange/Outlook for emailing purposes. But as soon as they installed Outlook 2010 on their systems, the application started to send the error message “Cannot open your default email folders. The file xxxx.ost is not an offline folder file.” At a later stage, mailboxes become completely inaccessible. However, they used Kernel for OST to PST and retrieved the OST file data successfully. Read more..
Lakeland College is satisfied with the performance of Kernel for OST to PST. Lindsay & Gilmour is a Scotland based company that offers pharmaceutical products in East & Central Scotland and Fife council area. The company uses Microsoft Outlook as its email client in the Exchange environment. But they started receiving ‘not enough memory’ error message with their Outlook 2010 application. And the manual methods could not solve the issue. So they tried Kernel for OST to PST to restore their offline Outlook data to PST files. Read more..
Lindsay & Gilmour is happy that Outlook application is working normally after the use of Kernel for OST to PST. Kernel for OST to PST is a popular tool for the restoration of mailbox data from offline Outlook Data Files. Convert OST to PST tool has helped many enterprises to fix OST file issues and to restore email communication. Most of the clients are satisfied and happy after the use of this tool.